†Offer valid 10/01/2018 — 11/30/2018. 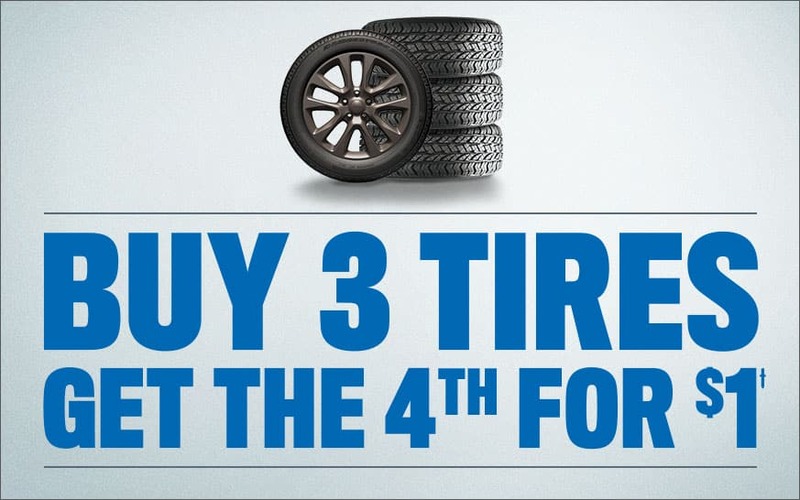 Available on select tires in stock at participating dealerships. Toyo, OHTSU, and Kelly tires are excluded. See your Service Advisor for details. Offer Expires 04-30-2019.